Let your style sparkle with this stunning trio of nail polishes, in three glitzy shades for you to coordinate with your evening and daytime looks. 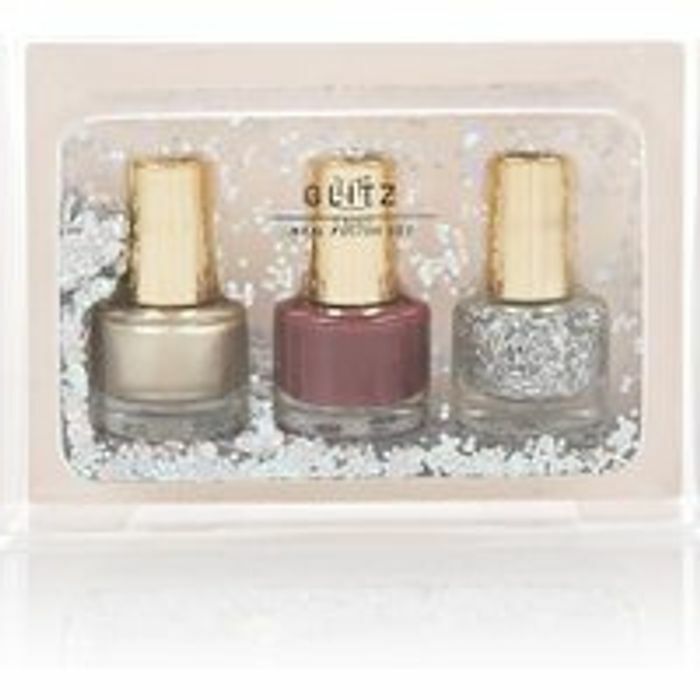 This nail varnish set comes housed in an attractive package with loose glitter, making it a perfect gift. I have just done exactly that, or rather my husband has but he doesn’t know yet. Had this last year the glittery one was rubbish. Wow what a great find. Great for a secret santa. Thank you for sharing. Great little Christmas gift, thanks. Thank you for sharing this deal. It's even better if I can manage to do it with Quidco. thanks for sharing this it will make a great secret santa gift!